Community Corner - Local Weather Details Online. 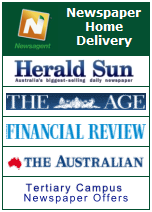 Home Delivery Subscription Offers are available for the Herald Sun, The Age, The Australian and the Australian Financial Review. With great subscription offers for all of these newspapers visit www.pattersonroad.com.au/paperoffers to view and compare the offers available. Top ups for myki, Melbourne's new public transport ticketing system, are now available at Patterson Road Tatts, News & Post. At this stage we are only able to provide top ups for myki, you will need to first purchase and register your myki card at a staffed railway station. We expect to have new myki cards available for purchase later in the year. 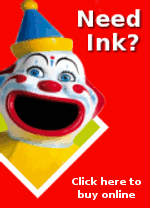 When it’s time to recharge your prepaid mobile phone, Patterson Road Tatts, News & Post is the place to go. It’s quick and convenient with prepaid recharge vouchers available for all the big names including: Optus (including the Optus text saver); Telstra; Virgin Mobile; and Vodafone.